With the festive season around the corner, people all over the country will be celebrating with their families and shopping for gifts for their loved ones. This year give a thought to the less fortunate by simply adding R5 or more when paying for your shopping at any Shoprite or Checkers till point across the country from 1 December 2016 to January 2017. Every R5 donated will help to provide five meals as part of the #ActForChange initiative aimed at providing food to thousands of hungry South Africans this festive season. 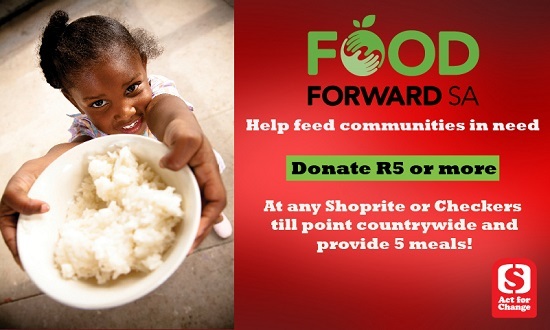 The initiative was started by Shoprite and Checkers to give shoppers an easy and responsible way to help vulnerable communities impacted by issues like food scarcity, droughts and floods. FoodForward SA has been selected as a recipient of the #ActForChange Fund because of the consistent and meaningful work they we do to help combat hunger across South Africa. FoodForward SA’s vision is to provide quality food to thousands of hungry South Africans every day and we are challenging you to join the fight against hunger by joining forces with us this festive season. “Give a little and make a real difference to the people who need it the most. 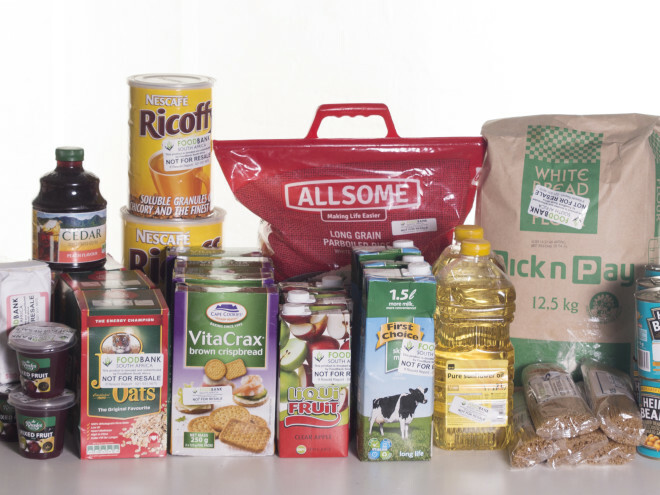 Just add R5 to your grocery bill and we will fill hungry tummies. 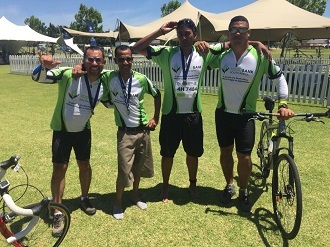 We appreciate all donations and contributions given out of kindness,” says Kate Hamilton, Fund Development Manager, FoodForward SA.